We often hear people afraid to eat avocados because based on the myth avocado contains more fat, so it's not good for the heart and easy to make fat. In fact, some research actually found the opposite. Actually, avocado is good to maintain the cardiovascular system and helps maintain normal weight. Avocados contain a variety of nutrients. Among others antioxidant carotenoids that are anti-inflammatory such as lutein, zeaxanthin, and violaxanthin, as well as phytosterol, epigallocatechin and epikatekin flavonoids, also vitamins E, C, manganese, selenium, potassium, magnesium, and omega-3 fats. Another study states that the absorption of lycopene and beta-carotene increased significantly when added fresh avocado into vegetables salad. 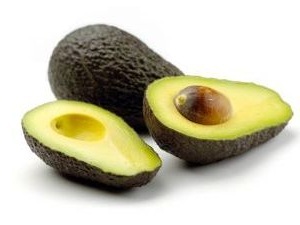 The concentrations of carotenoids in avocados are most numerous in the dark green pulp, just under the skin. So if you want to take the avocado pulp, do not waste the green part. For those who are afraid of fat, in a study proved that consumption of avocados during the week it can reduce body fat. It is because avocados contain monounsaturated fat or oleic acid which can help lower cholesterol. Well, now there is no reason to fear not to eat avocado? Add this fruit into your diet, and get healthy benefits. Good luck.